Today is a very special Monday! Anti-Flag's 'Mobilize' turns 16 today, and we are inviting you to celebrate with us! 16 years ago, 'Mobilize' was released in the wake of the September 11th attacks in New York City. It was a time that challenged and affected the country in every way imaginable. As a label and band, A-F merch was pulled from every retail shelf and returned to us as it was all deemed un-American/patriotic. The future of the band was questionable, but they pushed forward to make sure their message of empathy was shared in every capacity they could, that violence was not a solution to stop violence. This week, we reflect on those historical moments, and the fires they sparked in the hearts of artists, bands, and people as a whole. 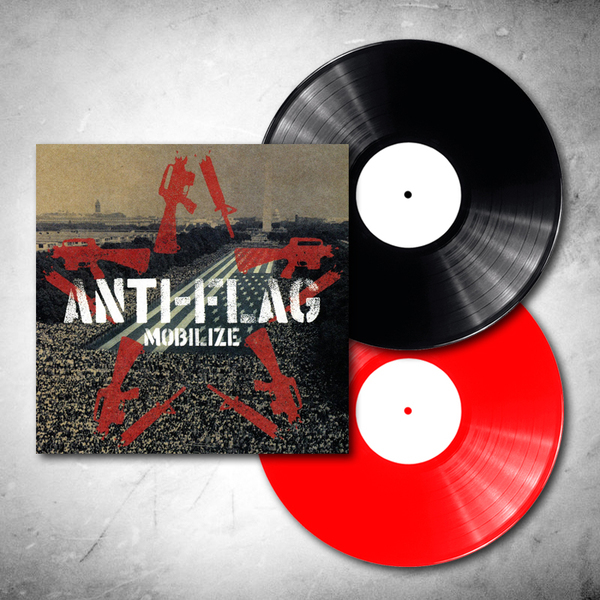 Mobilize is available this week ON SALE on "Classic Black" or "A-F Exclusive Red" vinyl for only $5!